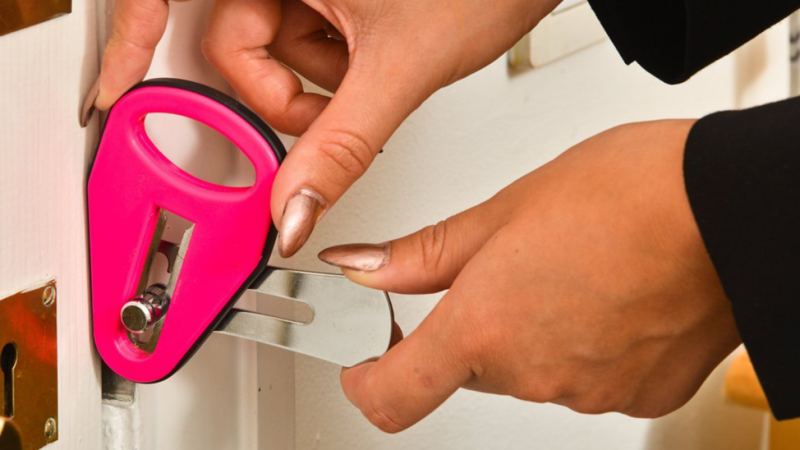 Be safe everywhere that you go with the Easylock strong portable door lock. This lock ensures that you have extra security even when you are away from home. It can be used in hotel rooms, guest rooms, dorm rooms, public toilets or anywhere else. Hotel rooms and dorm rooms often have only very simple locks. You will find that the locks my be of poor quality or very old. 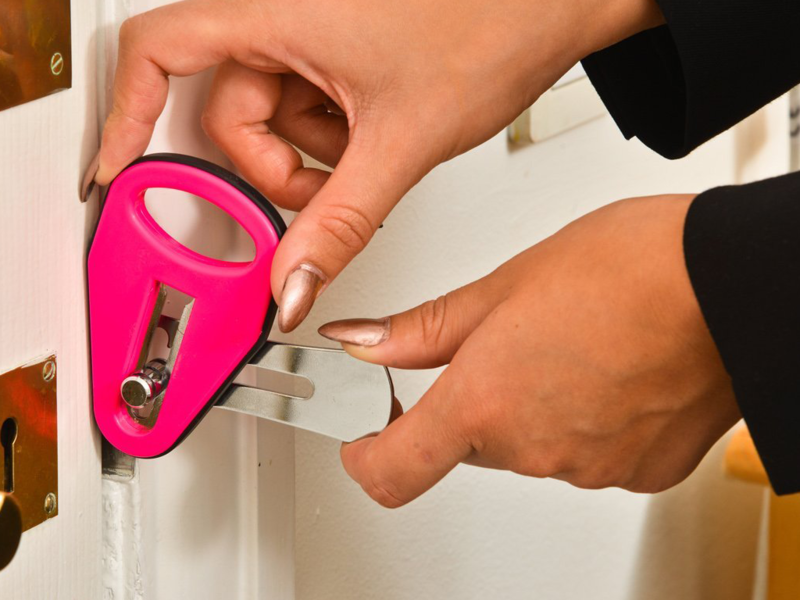 This is where the Easylock can be handy because you want to know that you are safe. When you stay somewhere with old or simple door locks it is very easy for someone who knows what they are doing to break into your room. This lock helps to ensure that that this does not happen. It is simple to use and you will sleep easier knowing that you have that little bit of extra security. The lock is small and will not take up much room in your luggage. A small investment that will put your mind at ease when you are staying in unfamiliar places. If you have a loved one who is travelling overseas then this is a great gift idea. You will know that you have helped to keep the person you love a little bit safer. Many students live on a college campus and dorm locks are not always the best. One of this will make a difference and give you peace of mind. If you have a child who is going to be living on a campus then this is a handy gadget to give to them. You will sleep better at night knowing that they are safe and secure. For students studying abroad or in unknown areas this is a very useful item.